Every other person on my feed at the moment is wearing Gingham: from monochrome trench coats to tablecloth-checked dresses it's a trend that's been everywhere for all the right reasons. One thing for certain is there's absolutely no shortage of dreamy pieces on the high street and, in my search for the cutest new season styles, I uncovered a secret buzzword that'll help you to unlock exclusive pieces. Never heard of it? Until recently I hadn't either that's until I started noticing the noun within descriptions on my go-to sites. Simply type 'Vichy' into the search bar of Mango, Zara, Net-A-Porter or another of your fave stores and a secret section of new-in product. From dreamy dresses to totes you'll want to tote around all summer long: all in your favourite check. As it turns out, our go-to brands haven't been calling their gingham items gingham at all: instead 'Vichy' is the term of choice. A French noun 'Vichy' is basically a synonym for gingham in English and is also the name of the town where they archetype print was born. 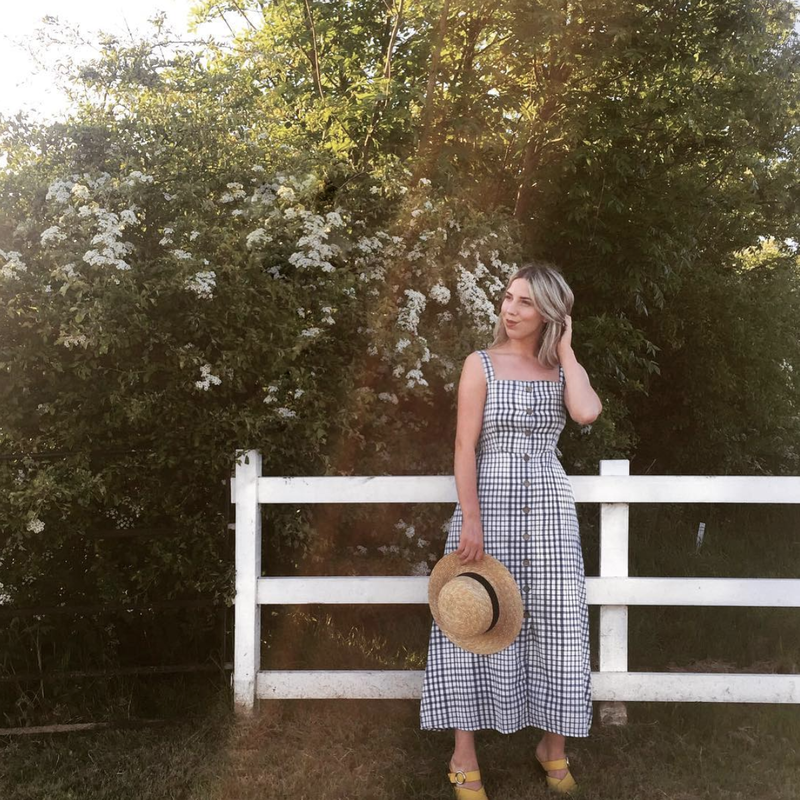 Classic and cute gingham is definitely here to stay so, think outside the box this season and take on the summertime check by pairing with colour pop shoes and woven accessories.